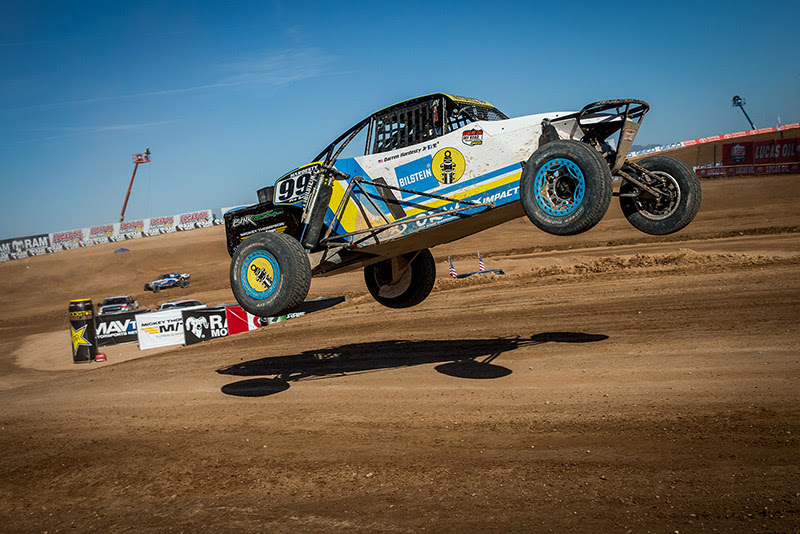 Darren “Hot Sauce” Hardesty Jr. showed the consistency that won him the Pro Buggy Championship in 2016 with back to back podium finishes during rounds 1 and 2 of the Lucas Oil Off Road Racing Series at Wild Horse Pass Motorsports Park in Chandler, Arizona. He may have made it look easy, but a lot of hard work went into the car in the off season. Hot Sauce knows that it’s much harder to stay hot, than it is to get hot. With a nickname like Hot Sauce, it’s not surprising that Darren Loves Mexico, and the Mexican fans love Darren. The team was surrounded by fans all weekend when they ran in Ensenada last year. As defending Pro Buggy champion, his fan base is even larger this season. If you can make the race at Estero Beach Resort in Ensenada, Baja, Mexico on May 20 – 21, you should go and see Hot Sauce race in person. For the latest news and information about Darren’s racing program go to: http://darrenhardestyjr.com/ where you will find fan information, race reports, photos, videos and much more. 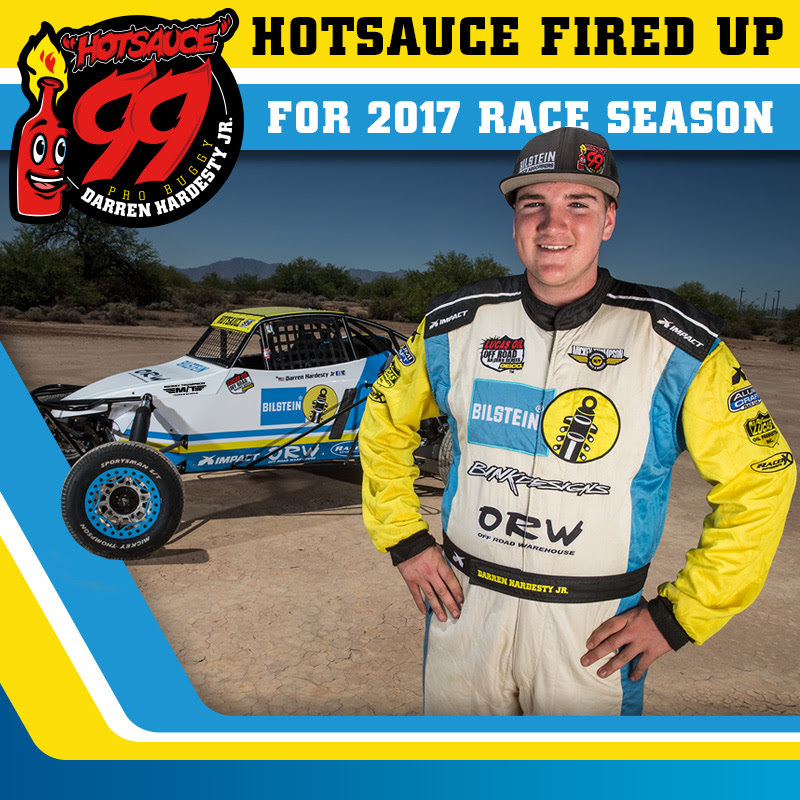 Darren “Hot Sauce” Hardesty Jr. is a third generation racer who is making his own mark in racing. Working his way up the ladder from Dwarf cars and JR1 Kart, where he was named “Rookie of the Year,” he graduated to JR2 and then the fastest kart class in the Lucas Oil Off Road Racing Series, Modified Kart. 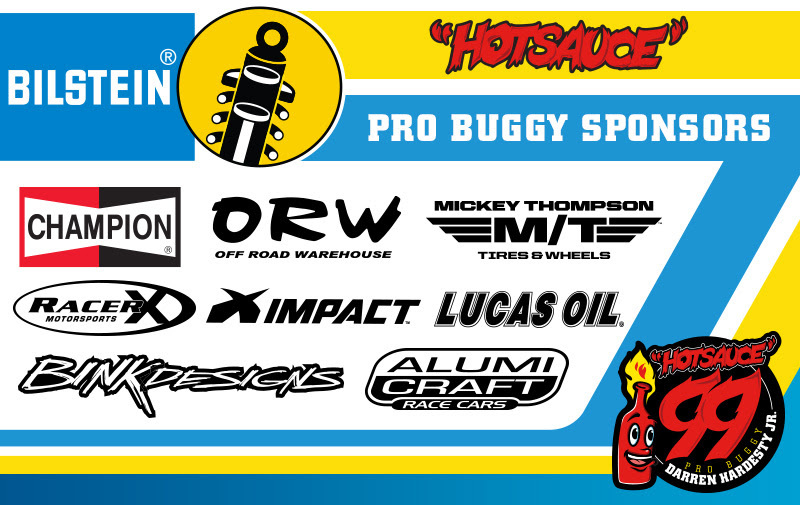 In 2015, HotSauce earned the Rookie of the Year title and the points championship in the Lucas Oil Off Road Racing Regional Series. He gave the pro level series a try and did extremely well; so well that he also ran the Pro series for the rest of the season. He became the youngest driver to win a race in the Pro series and went on the take the Rookie of the Year title; earning his second Rookie of the Year title during the same season. In 2016, he has continued to accrue wins and podiums at the professional level. 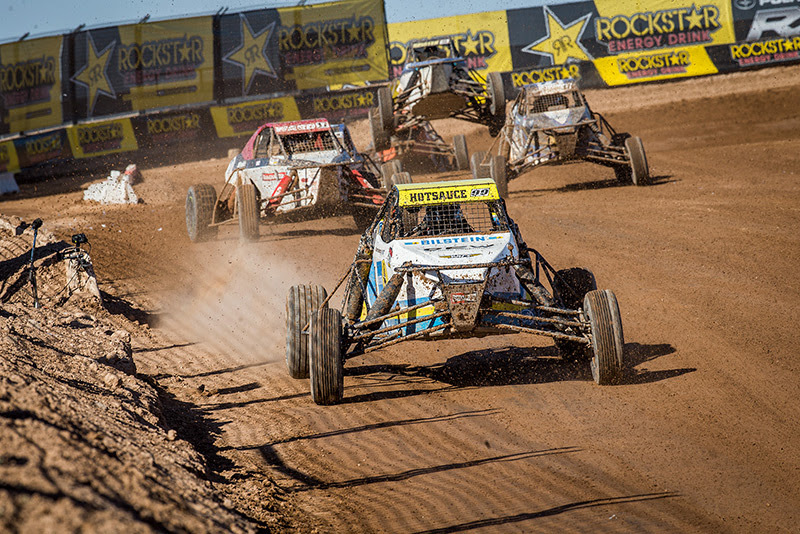 During his trip to the World Championships at the Big House in Crandon, Wisconsin, he earned a victory and second place podium finish racing against the Crandon regulars. At only 16 years of age, Darren Jr. became the youngest driver to win a pro series championship when he dominated the final race of the series. He vaulted from third place in the standings to a tie for first. Having more wins than his top competitor broke the tie, earning HotSauce the title. 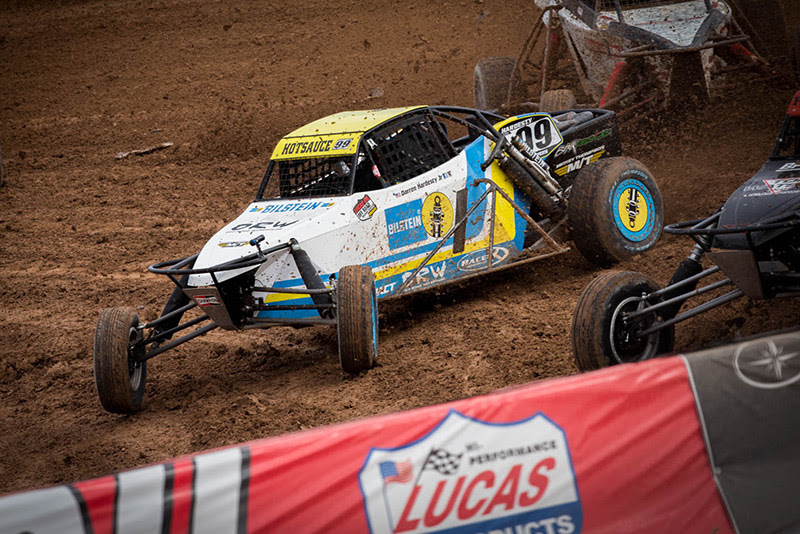 Darren’s strong performance in 2016 attracted a huge fan following and a rising star nomination from the Off Road Motorsports Hall Of Fame. Anytime he is in the driver’s seat, it’s guaranteed he will spice things up as his nickname “Hot Sauce” suggests.